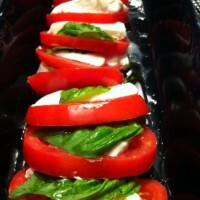 Home » Nutrition » Colorful Foods are Important for YOU! Colors in fruits and vegetables are produced by plant chemicals called phytochemicals –or as the Super Crew calls them fight-o-chemicals. Each color of the rainbow plus white, brown and black, is produced by one or more different phytochemical(s). For example, red and pink fruits and vegetables are colored by natural pigments or phytochemicals called lycopene or anthocyanins. The orange and yellow color is produced by carotenoids like beta-carotene, which is found in sweet potatoes, carrots and pumpkins. Each of these phytochemicals provides unique benefits to the body: lycopene may help reduce the risk of cancer, especially prostate cancer; anthocyanins are powerful antioxidants that help protect cells from damage, and carotenoids help maintain healthy mucous membranes and healthy eyes. Diversity in color creates diversity in health benefits, which is why it is so important to consume a diet with a variety of plant colors. Find out how to include more healthy foods when kids are resistant. Encourage them to eat more colors by using the Super Crew color tracker. Read books with healthy themes, like I Will Never, Not Ever, Eat a Tomato. Comment on Colorful Foods are Important for YOU!